The all-important first step is being realistic about where you are in terms of fitness and overall capacity for running long distances. If you already run regularly in your free time, you’re going to need a different training plan to someone just starting out. Over and under-committing are two common mistakes people make when they start training for. Both are symptoms of misunderstanding of the intensity levels your body can handle. Yes, it’s good to be ambitious. But if you’re pushing yourself too hard, too soon, you’ll find yourself resenting training time, and become more prone to giving up. Alternatively, if you underestimate yourself, you probably won’t be putting in the effort and miles you need to be hitting if you want to ramp up your endurance. It’s been proven that people are more likely to achieve something if they set goals and write them down. So once you’ve carried out your brutal self assessment, it’s time to bring some structure and routine to your training. Begin mapping out milestones in your training, thinking long and hard about how, and when, you’re going to hit your goals. This will vary depending on your existing ability, as well as time targets and how long you have until the big day, but whatever your schedule ends up looking like, be sure to get it down on paper. 24-weeks is a useful training benchmark for your first marathon outing. This is a good stretch of time for you to condition yourself in, while achieving a series of goals. One long distance run per week, combined with two recovery runs is a great place to start—and, of course, strength training will take you even further. Run a realistic long distance and build from there, incrementally adding around 10% in distance to each long run as the weeks pass. Beginners should aim for around 15 miles per week to begin with, progressing steadily through to around 40 or 50 miles in the final few weeks (including one 20+ mile run p/w). However, in the 7-14 days prior to the race you should reduce your distance by about 25%-30% to avoid risk of fatigue and allow your body to recover and hit peak condition. Experienced runners, who manage to hit marathon distance in a shorter time period, can then shift their focus to bringing down their race time. Finding your pace and learning how to manage it is one of the most important skills you’ll develop during your training. Surprise surprise, your marathon pace or MP will be slower than your 10km or half marathon pace—you’re going to need to hold back some energy in the tank. 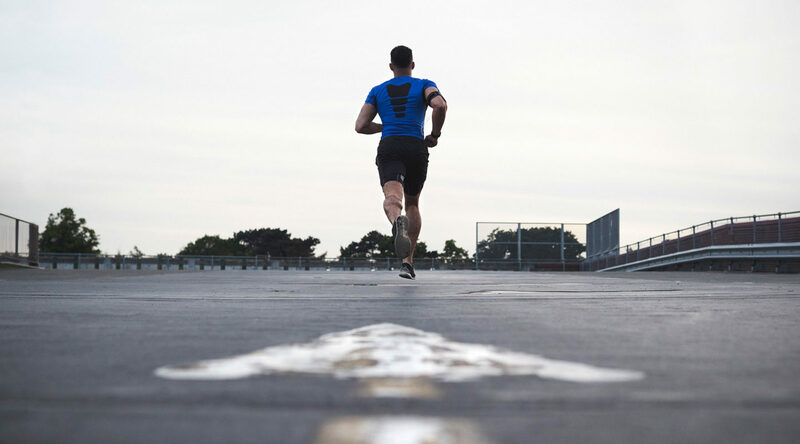 Your training pace will be slower still (anywhere up to 25-35 seconds per mile). However, going too easy on the gas will leave you vulnerable come race day. Unlike trail running, where pace can vary drastically, road running allows for focus on both consistent speed and tactical changes in speed. Pay attention to maintaining your average pace over long distances, and tell yourself to go that little bit faster, especially towards the end of your runs. Teaching yourself feel your pace and speed up when you’re tired will do you the world of good. Think you can’t maintain your pace? You’re probably going too fast. Think you can maintain your pace? You’re probably going too slow. Think you could ‘maybe’ maintain your pace? 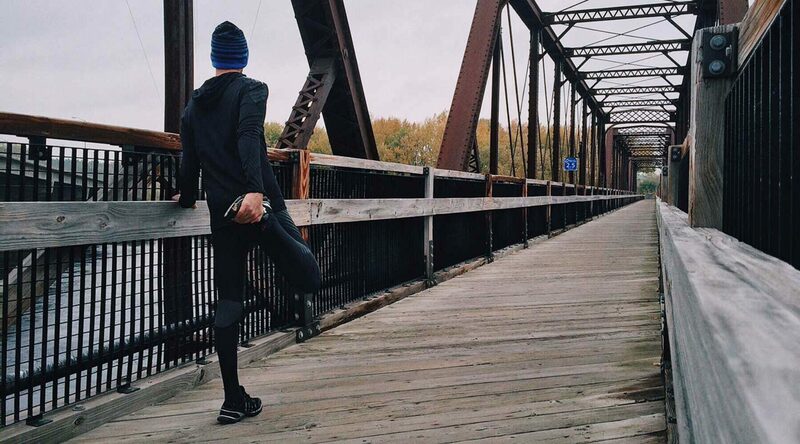 You’ve probably found your stride. Whether you have a target time to beat, or you just want to make sure you finish the race, by upping your pace, and learning how to keep it consistent, you’ll progress faster. Developing the right eating habits will give your body the extra added oomph you need during training to take things further and/or faster. There’s a lot that’s been said about carb loading. Feeding your body with the energy it needs to get you where you need to be seems obvious, but many runners misinterpret this nutritional practice. Stuffing your face with bread and pasta (or any other heavy, unhealthy carbs for that matter) is going to do you more harm than good. Not to mention that if you’re running less than 10-15km, it’s going to be pretty pointless either way. Centre your diet around foods like bananas, brown rice and oatmeal, and give your body enough time to absorb the slow releasing energy they provide. Just because you’re burning 1000+ calories every session, doesn’t mean you can pig out on the bad stuff afterwards either. Efficient training relies on efficient recovery, so stay away from fatty foods and empty calories as best you can, and focus on high-protein foods like chicken, almonds, greek yoghurt and eggs. It’s important to understand that not every run will be a perfect one. There will be times you need to stop, or at least slow down. Some runs will leave you feeling accomplished, others will feel like ‘just another run’. Remember, progress takes time. There is no one formula to it either. If you’re serious about running your first marathon, you can’t expect miracles to happen overnight. What you can do however, is give yourself the best possible chance of success by following the key principles in this article. Take them away, adapt them to best fit your daily routine, and follow the number one rule of running: consistency. 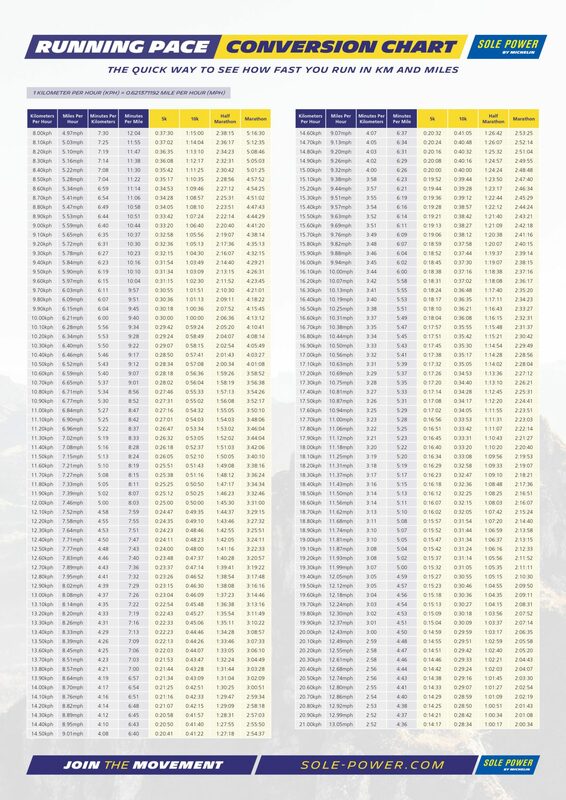 Check out our running pace chart below and click here to download.